Government of Haryana developed new interface system called HRTreasuries or eGRAS through which we can combine various stakeholders like Finance Department, HODs, DDOs, employees, AG and Pensioners etc. All kinds of MIS reports are available on this Interface in the public domain. HRTreasury is mainly used to streamline the treasury related activities like employee pay bills, budget allocations and allocation of local funds. 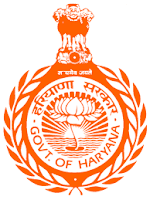 In order to link and stream line all treasuries in Haryana state, government has come up with new system called HRTreasuries. Using this portal you can allocate, verify funds easy and effective manner. By entering the employee ID and password can submit all the related pay bills in HRTreasuries portal. Once get into the HRTreasuries online page, Government of Haryana employee can access their salary details like Basic Pay, Dearness Allowance (DA), Provident Fund and deductions like gratuity, Insurance and Professional Tax. After entering all details in HRTreasuries, system can submit the salary bills to treasury of Haryana government in order to process employee salaries. Government can easily do the financial auditing with the help of HRTreasuries online. The main function of HRTreasuries is to maintain or process the funds, pention cases for the corresponding departments easily. HRTreasuries is also conducts financial transaction audits with in the budget of Haryana government such as processing of salary payments, pentions and other payments from the treasury department.